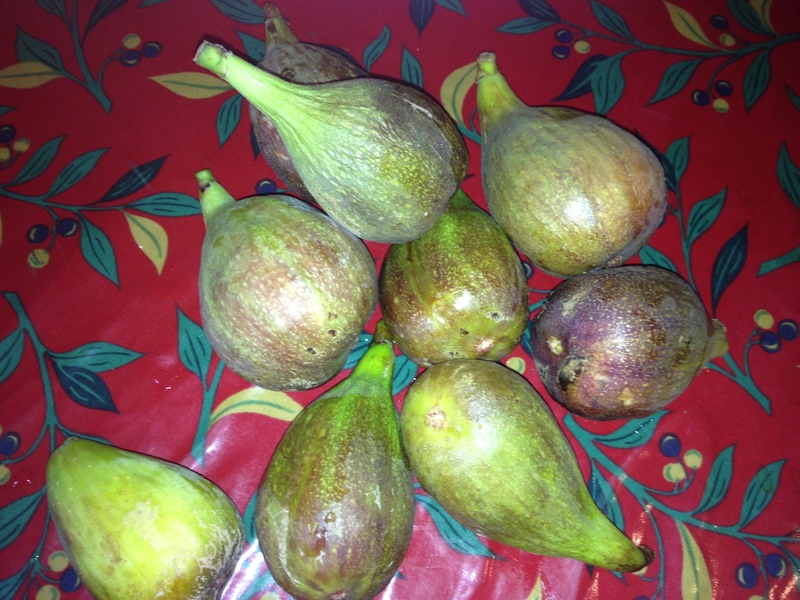 The warm spell in July really brought on our figs and while we haven’t had a glut, there has certainly been a pleasant surplus.The variety I grow is Brunswick and these swell big enough to sit alone in the palm of your hand. The skin is tender and you can happily eat it along with the flesh, not having to worry about the niceties of peeling. It’s probably going to be the last big crop for a few years. I foolishly planted the tree too close to the house and the roots have long burst out of the old school briefcase that originally housed them.Once the last of the fruit ripens then I’ll be taking the saw and lopper to the branches and packing the limbs off to the green skip at the dump. It seems a shame, but the Brunswick fig’s thuggish ways mean that it will be back with its usual vigour. So what to do with them? 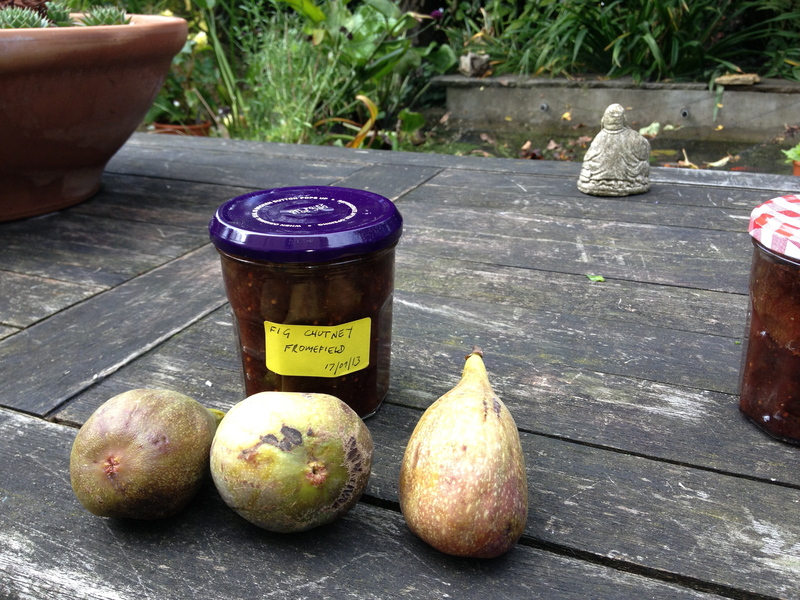 It’s got to be Fig Chutney. The recipe below with its ripe fruit produces a sweetish batch of four large jars. So you may want to reduce the sugar. Discard the fig stalks. Chop the figs, skin and all, into smallish pieces and place them in a large, stainless steel pan. Add all the other ingredients and bring to the boil. Simmer for 25-30 minutes until the onions and figs are soft. Take off the heat and leave for 20 minutes. Turn into sterilised jars, add a paper lid and seal. The chutney can be eaten immediately but its best left for a couple of months and opened at Christmas. If you don’t have enough figs for the recipe,then you can make up the weight in fruit with apples and perhaps add a handful of sultanas.